Google has officially announced that the next version of the Android OS, 4.4, will be called KitKat. 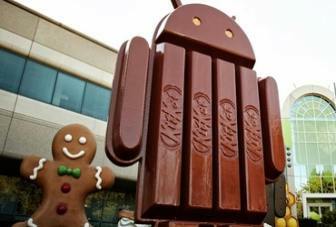 Google is calling the next iteration of its Android OS KitKat. The new OS was earlier called Key Lime Pie, but Google finally decided upon KitKat, the famous chocolate brand from Nestle. If you think that this is a sweet financial deal for the two companies, then you'd be wrong. Google told BBC that it had come up with the idea and that neither side was paying the other. John Lagerling, director of Android global partnerships, told the BBC, "This is not a money-changing-hands kind of deal." Simon Myers, a partner at the consultancy Prophet has said in the BBC report, "If your brand is hooked up with another, you inevitably become associated with that other brand, for good or ill."
The Android OS expected to launch after Jelly Bean was called Key Lime Pie internally in Google’s offices. Mr Lagerling said, "We realized that very few people actually know the taste of a key lime pie." KitKat on the other hand is a popular snack in many counties. A Google spokesperson explained to The Verge that the new Android version's name was inspired by the Engineering Head Hiroshi Lockheimer's love of KitKat bars.